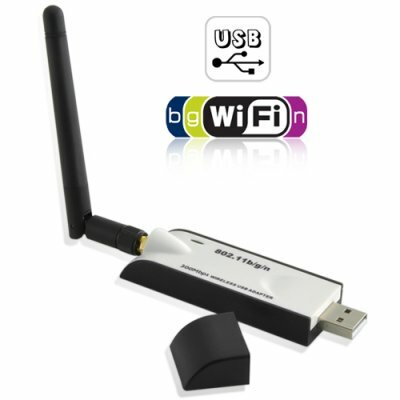 Successfully Added 802.11N High Speed Wireless USB Adapter with Antenna to your Shopping Cart. on 2011-01-06 14:36:04 Works great! Awesome product! I received it today and immediately tested it out on my Windows 7 x64 Professional. Didn't need to install drivers from CD or download drivers, just plugged it in like any other USB and wifi works straight away! The speed is pretty good, not as fast as I had hoped (300Mb+ as advertised) but it's the typical speed you'll get with using a proper wifi adapter card or any form of wifi hardware.